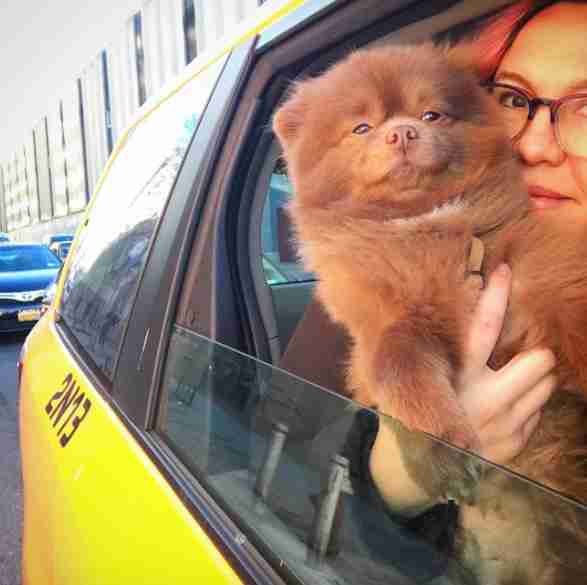 Bert the Pomeranian was dumped at a shelter when he was 5 months old by a breeder who deemed him too big to sell. Little did he know, he was about to embark on an amazing adventure - as an art connoisseur in New York City. 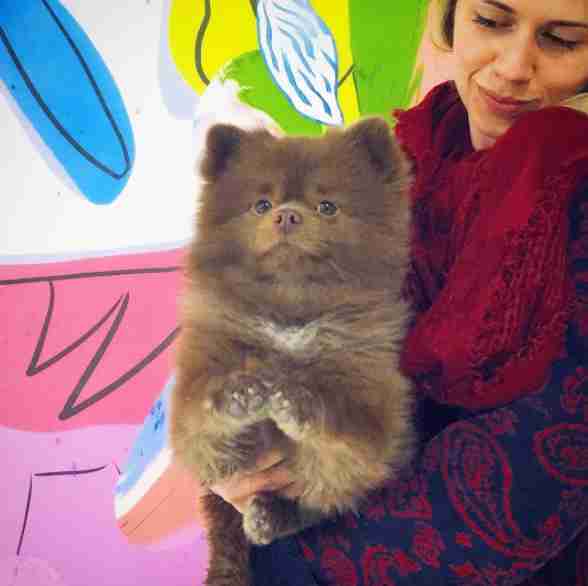 Kathy Grayson, who owns an art gallery in NYC called The Hole, was browsing PetFinder when she saw little Bert up for adoption, and she just knew she had to make him hers. She flew to Tulsa, then drove to the small town of Sallisaw to meet Bert and welcome him into her life. "There was just something about the look in his eyes," Grayson told The Dodo. "I think that next day in NYC we had an opening at my art gallery with hundreds of people and a dinner and after-party. From day one, Bert was ready to join the art world!" Bert is now almost 4 years old and goes to work with his mom at the art gallery every single day. From the very beginning, Bert has always been quiet and refined, and perfectly suited for life in the world of art. "He is so calm and like ... introspective," Grayson said. 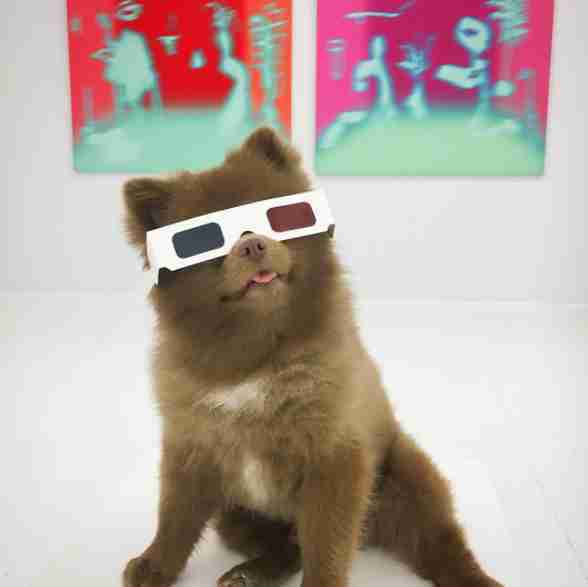 "He's been to dozens of openings, scores of art fairs in NYC, Miami, L.A. and the Hamptons even. He's been to Canada and Seattle and D.C., to clubs, restaurants, bars, even the opera once! His motto is 'Happy to be included!'" Bertie is more than happy to attend any event or show his mom has to go to, but what he really loves is spending time at her gallery, and meeting all the people who come in to see the art - and him, of course! 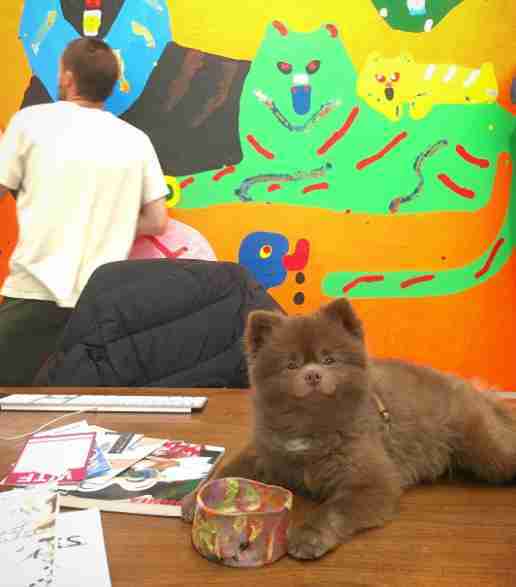 "Bertie has become our unofficial mascot, of course, and many people come to the gallery to see Bert," Grayson said. "A lot of people bring their dogs too! They know that I am always there with Bert in my office with treats, ready to play." ... and isn't afraid to get a little critical every once in awhile. Bert can also be pretty artistic himself, and likes to engage in a little performance art by performing tricks like dancing and giving kisses. "He will sit up like a person and dance for treats," Grayson said. "I also trained him to kiss on command so if you are anywhere near him and I say kiss he will lick you. It's adorable but now there are no free kisses; he wants a treat for them!" 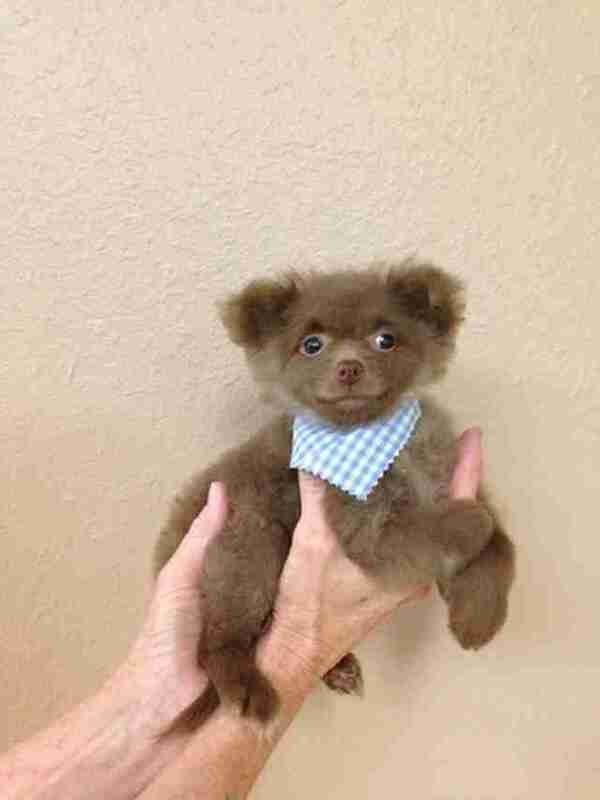 Bert had a rough start, but now he has a fabulous life, and he takes his role as the official mascot of his mom's art gallery very, very seriously. You can follow Bert and all of his adventures on his Instagram account.